Salvage capacity-building workshop series: Register now! Building on our experience of facilitating workshops with activists who wanted to better identify, challenge and prevent gendered violence in their communities, there was a need to figure out ways to better support and increase capacity of activists currently involved in community accountability processes, safer spaces and consent activism across the UK. This work can be very isolating, exhausting and challenging and commonly falls to a handful of individuals (often survivors) who can quickly become burnt out. We also wanted to create spaces to bring people together to talk about ways to build a network and develop this work so that it is more sustainable, reflective and intersectional as well as develop and share our facilitation skills and challenges in doing this work. There is support available to pay for travel expenses. All venues are accessible and lunch and refreshments will be provided. 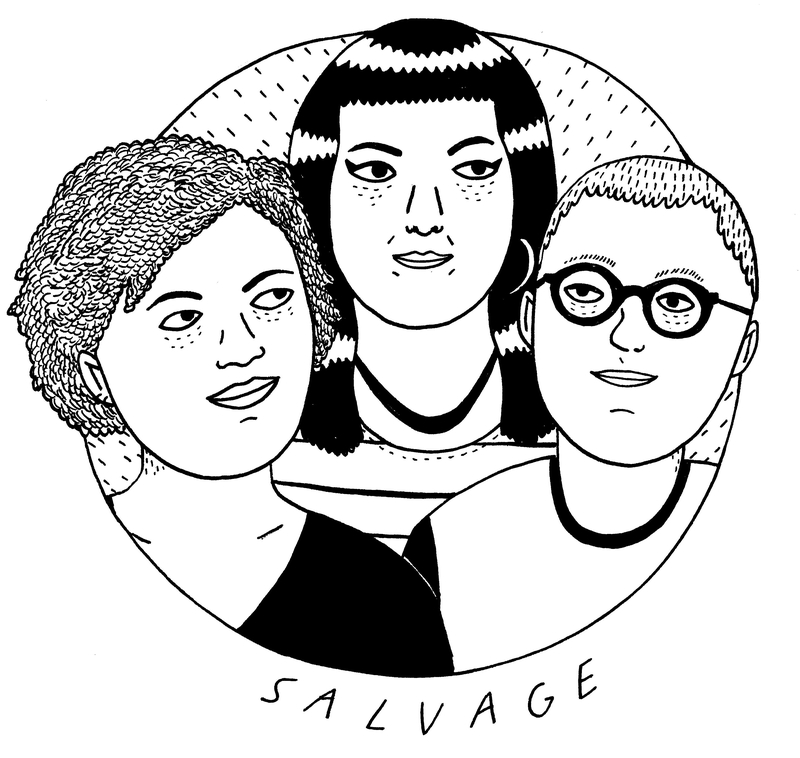 You do not have to be a member of the salvage collective but you are more than welcome to get involved. You can also help us to spread the word about the workshops by printing out and distributing this Flyer for us in your local social centre, book shop or at events. At our research report-zine launch Camille Kumar (Imkaan) kindly offered us some questions to help us to interrogate white supremacy in our research that also has implications for our radical social justice activist practices and communities. In this workshop we will focus on understanding how oppression works, the need to value and centre marginalised perspectives and voices, and develop strategies for self-directed learning and tools that we can use in our everyday lives to create supportive and just communities. A workshop that focuses on developing the skills and confidence to design and facilitate engaging and experiential workshops on issues such as sexual violence and consent. We’ll share experiences of facilitating workshops, ideas about how people learn, and some tips of the trade that we’ve picked up over the years. You’ll apply all this to design your own workshop session, practice facilitating, and receive feedback from peers. There can be enormous challenges in consistently facing and seeking to transform society, which take their toll on us – impacting our relationships, our mental, physical and emotional wellbeing and the effectiveness of our work. To help us stay nourished, creative and inspired to continue this work, we need to value our own health and wellbeing, develop practices that increase our resilience, support each other and create ways of organising together that help us thrive. Through a selection of individual, pair and group reflections and exercises we will explore tools and perspectives which value our wellbeing and sustainability. What’s next for us? We will spend a day developing our strategy to help us get to grips with the issues we’re facing, and get clear how we can do this work more effectively. We will work on narrowing down bigger picture problems into more manageable parts and use creative tools to help us learn skills for strategy and develop a birds-eye view on the future of our work. It would be super helpful if you could fill in this Registration Form and email it back to us: thesalvagecollective@gmail.com. Please remember to include travel information if you would like us to book and pay for your travel in advance.